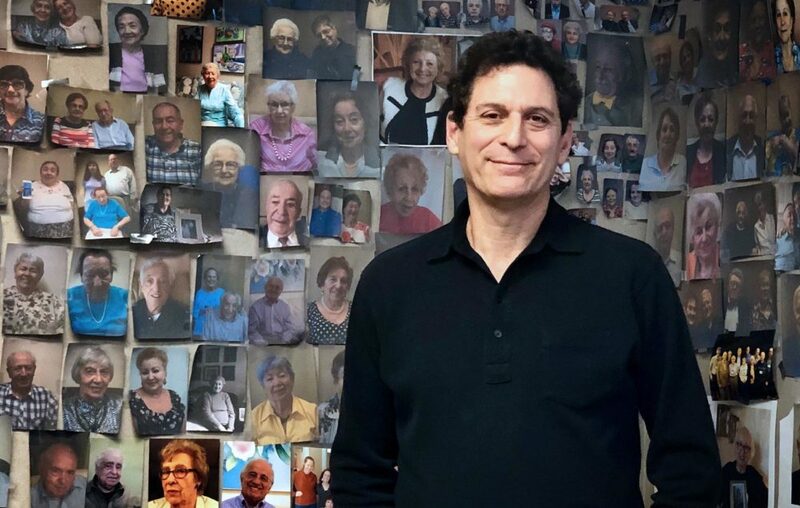 This Photographer’s Goal: A Picture Of Every Holocaust Survivor In The U.S.
An estimated 100,000 Holocaust survivors live in the United States today — all of them over the age of 70. With their numbers dwindling and anti-Semitism on the rise, some wonder, will they be remembered? Enter John and Amy Israel Pregulman. The Denver couple has made it their mission to photograph as many Holocaust survivors as possible, before it’s too late. At a recent photo shoot at Hebrew SeniorLife’s Orchard Cove in Canton, Massachusetts, the Pregulmans met three survivors who agreed to be part of the project. John explains that their efforts started three years ago when he was commissioned to take pictures of survivors for an exhibit at a Holocaust museum in Illinois. After his work there was done, he felt like he needed to continue. “I went there and took 65 photos in three days and became absolutely enthralled with their attitude, their outlook and the amazing things they’ve done in their lifetimes, since the war,” he says. Not long after he started his independent project, John says he made a disturbing discovery: poverty. Until then, Amy says, they were unaware that 35,000 U.S. Holocaust survivors — about a third — live below the poverty line. That’s when they set up their not-for-profit, KAVOD, which gives emergency aid to Holocaust survivors in need. The money usually comes in the form of gift cards, and covers needs like food and medicine, and also, recently, hurricane relief aid. 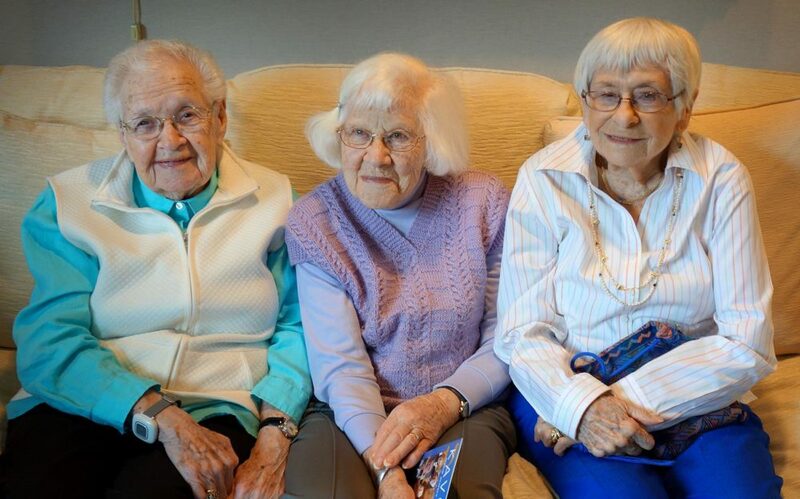 At the Orchard Cove Independent Living Center, the Pregulmans are photographing 12 survivors, including Edith Bard, 95, Trudy Schwartz, 99, and Esther Adler, 94. The women say they’ve been looking forward to the project. She adds that there’s now an urgency to tell her story, as her friends grow older and sicker. “Some of them are survivors and one with whom I was very close passed away recently, it feels like a piece of me is lost,” Adler says. For Schwartz, the project is a way to remember. When it’s time to have their photos taken, the three women — none of them over 5 feet tall — spring up. There’s not a cane or a walker between them. They head over to a sofa in a living room at Orchard Cove, where John is waiting for them. As he snaps their images, John explains a little about how his subjects approach the work he’s doing. But there’s no gallery, no exhibition and no fanfare. He simply gives the photos to the survivors. The only place the 720 pictures are displayed is on his office wall, plastered from ceiling to floor with faces — each one a triumph over history. Each survivor also gets a hand-written personal note from John along with his or her photos, something Amy Pregulman says helps to create a connection. When the photo shoot is done, the women head back to the other side of the salon, where Amy is sitting. Despite a long day of photographs and reliving difficult wartime memories, Edith Bard has more to tell. She describes how soldiers came to her home looking for her father or brother, but that when they weren’t home, they took her instead — over her mother’s objections. She was dragged out into the streets and forced to paint Stars of David on Jewish businesses, along with the word “jude” — German for Jew. At the end of the night the Nazi soldiers poured the bucket of white paint over her and sent her home. Her story prompts empathy and comfort from Adler and Schwartz. John says he sees a transformation in the survivors from before they sit for a photo session to the moment they receive their pictures.